I don’t cover the entertainment beat, so for me TIFF usually involves just a few parties, maybe one or two screenings. 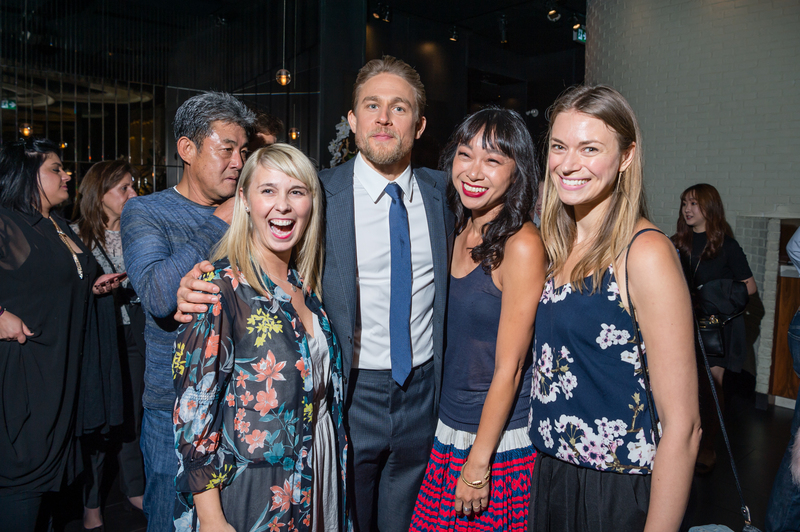 This year I haven’t seen any movies yet, but I did get to meet Charlie Hunnam at his pre-premiere Grey Goose party for his movie Papillon at STK. I’m a huge fan of Sons of Anarchy so this was very exciting, so exciting that even though Charlie was pretty accessible, all I could utter was asking if we could take a photo. He was really gracious with everyone and took plenty of photos. I also was lucky enough to attend the Grey Goose Cocktails & Conversations panel held on the Lavelle rooftop with the screenwriter, director and cast of The Current War. 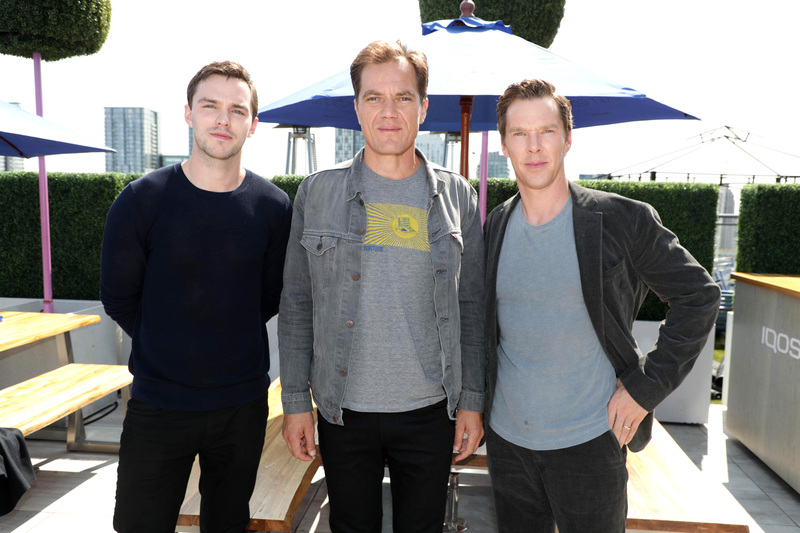 It was a intimate group (maybe about 20 of us), and it was really interesting to see how the actors all handled the sometimes convoluted questions thrown at them, and fun to drink Bloody Marys “with” Cumberbatch (he downed his first one pretty quickly and was promptly served another). In any case, here are six things I learned at this brunch. The Current War story sounds compelling and I’ll have to go watch it. “”It’s about a rivalry to electrify the world, but to me it’s about legacy and importance of leaving the world a better place through creativity, innovation and spontaneity, and the wonderful traits these men have and bring to the world and do so fearlessly; that is why I wanted to tell the story,” says director Alfonso Gomez-Rejon. The stars knew little about this story before the script came along. Benedict Cumberbatch is pretty funny. The actual science is beyond the actors comprehension, but everyone seemed to agree Nicholas fared best at understanding it. The actors loved the costumes and were fine with being less than handsome for their roles. Cumberbatch feels there’s a long way to go for his industry to becoming more environmentally friendly (when asked a question about the energy crisis). “And as far as energy goes, I feel deeply hypocritical…being flown here to talk to you on a lovely rooftop here in the sun’s heat that’s prop as hot as it is this time of year because of the fumes shooting out of the plane I was on, to put a finer point on it, but you know, it’s hard to talk about environmental concerns when in our industry, we have a great ways to go. But you need light to rellect through lens onto films or sensors these days, and light often isn’t available from nature at the time you need it and you need light for stories like this about electricity; and there’s a ways to go recycling on set, transporting people on sets, electric vehicles should be mandatory, to be a bit authoritarian about it, it gets you there, charge it when at work, don’t get why we don’t all do that on film sets, probably the cost of the hardware at the moment…and yeah and recycle, I don’t know what else to say,” he replied. “I try to wear clothes more than once!” he added in jest. 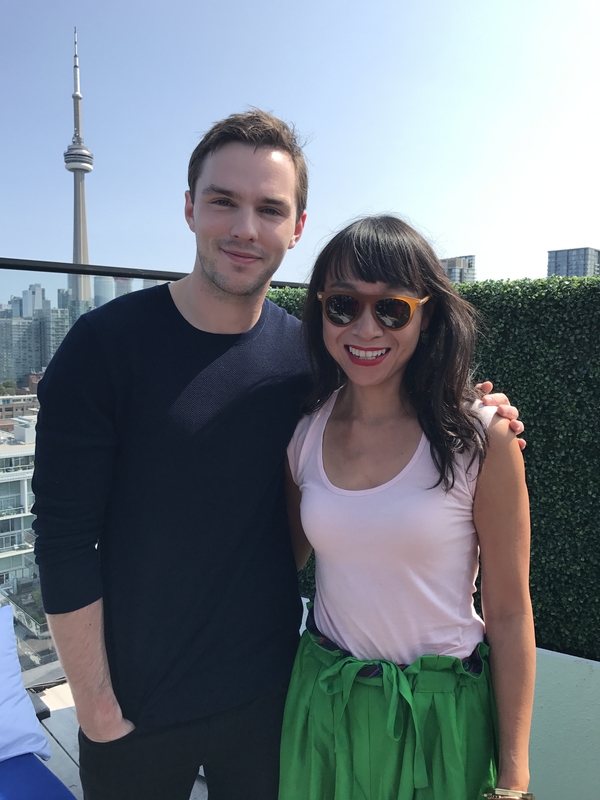 And with that, our brunch panel with The Current War cast ended, but not before I took a photo with Hoult. The Current War hits theatres in November 24th.